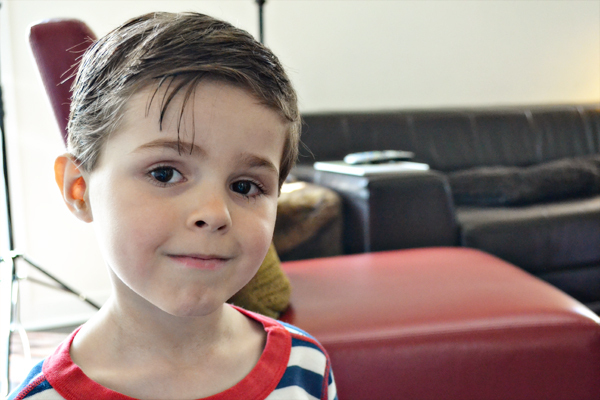 Took The Little Man to get a haircut yesterday. Let's just say it had been a while since the last one. What is it about haircuts? Is it a boy thing? That being said...I'm really glad it's a short do, and I don't have to go through this again for a good couple of months. What a beautiful face he has !! First, what a handsome little man you have there. Second, I hear it's a boy thing. I'd do whatever is in my womanly powers to make my husband take on this duty, except that he wants his 96-year-old grandfather to cut my son's hair as Grandpa did for him. Well played, husband. What is this? ANOTHER child who looks JUST LIKE YOU? Goodness. He is a handsome lad, nonetheless. He looks adorable! Fresh haircuts are quite charming, aren't they? I gave fabulous hair cuts. Remember even your dad had me cutting his hair because he could not get it right at the barbers. 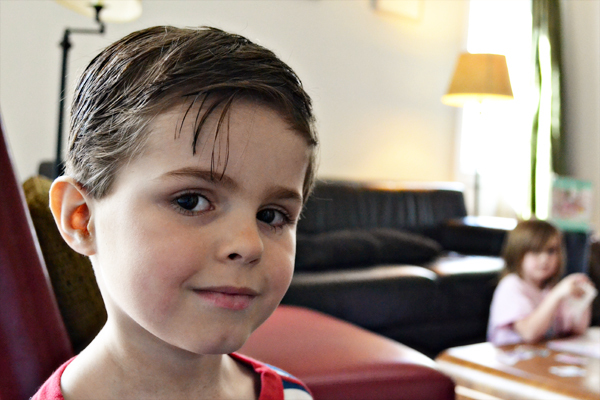 Little Man's haircut does look good. 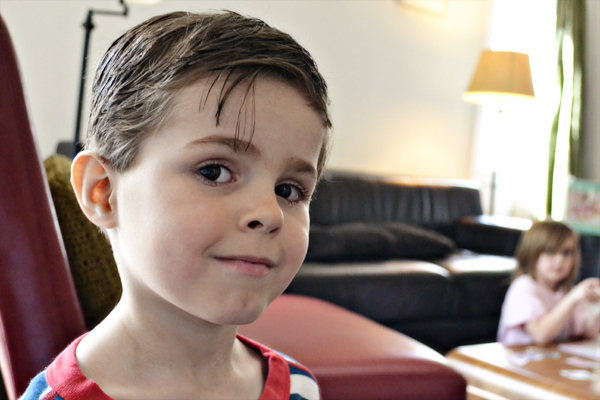 My son is almost 10- he still screams like a toddler when we *mention* a hair cut. But OMG how cute is Little Man? !